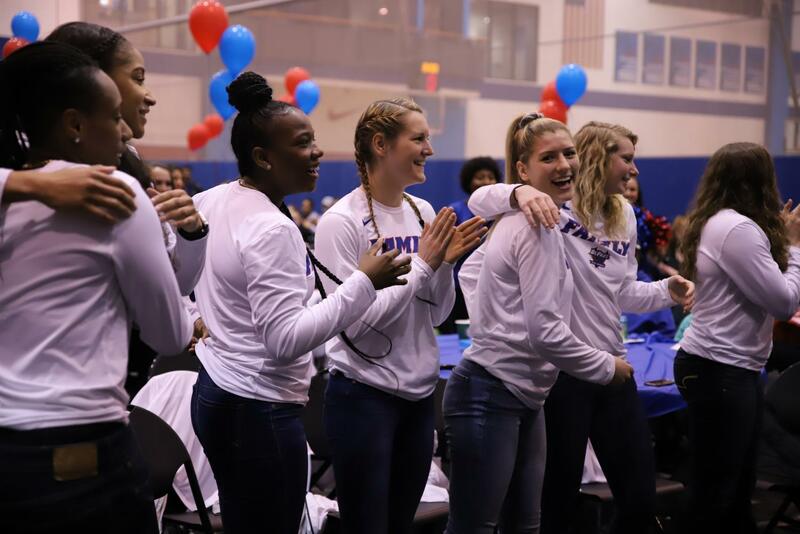 DePaul celebrated 16 straight NCAA Tournament selections prior to Monday, but none were quite like No. 17 after the NCAA Women’s bracket was accidentally leaked on ESPNU hours before the 6 p.m CT Selection Show was set to take place. 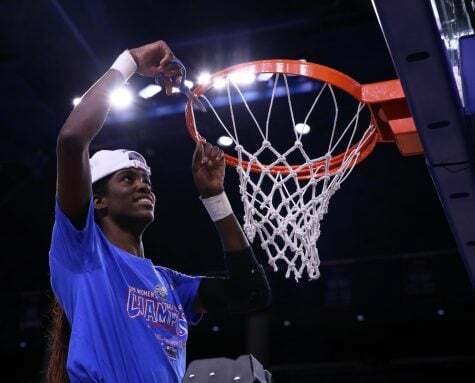 DePaul, who punched its ticket with a dramatic 74-73 victory over Marquette in the Big East Championship game, received a No. 6 seed and will open up Missouri State in the opening round in Ames, Iowa. 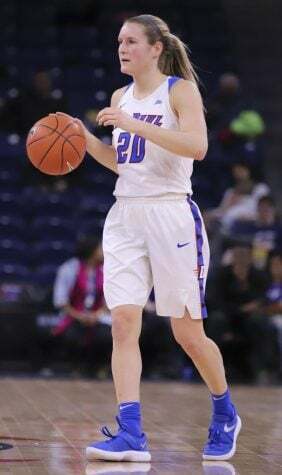 The Blue Demons are also in the Chicago region, meaning a potential Sweet 16 game in Wintrust Arena, which will host the Chicago Regional on March 30 and April 1. Bruno and his staff gathered the players, who were in the midst of playing 5-on-5, to let them know something had happened, but did not reveal their opponent instead heading across the gym to watch live after the show was pushed up to 4 p.m CT. 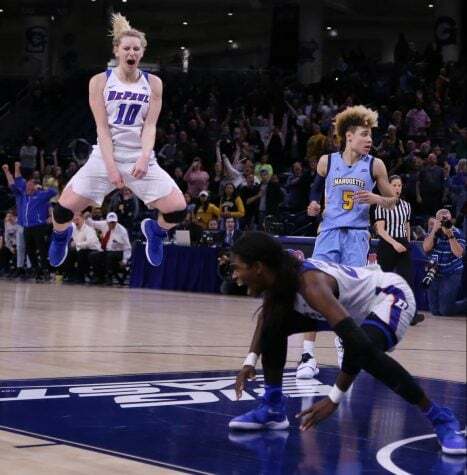 While of course different, the players and coaches were ready to celebrate another crack at the NCAA Tournament. DePaul still carried on with a ceremony for the players Monday evening as they had originally planned for the NCAA Selection Show Special. 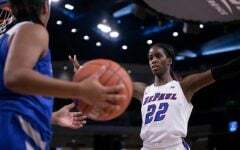 Senior guard Ashton Millender has seen DePaul’s name pop up in years past, but still had a similar reaction to when she first arrived in Lincoln Park. 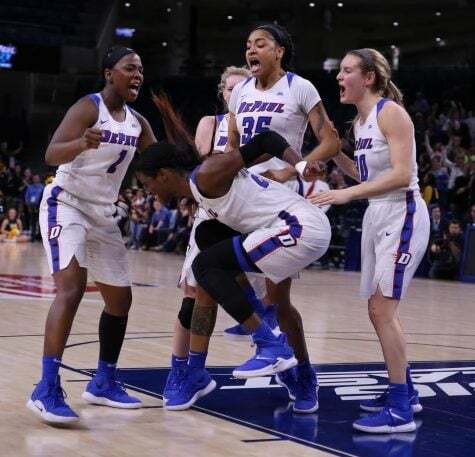 With two wins, the Blue Demons would return home with a chance to make their first Elite Eight appearance in program history. 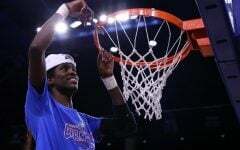 While the players are certainly aware of that they are sticking to a one possession, one game at a time mentality that has been a constant message around DePaul for many years under Bruno. 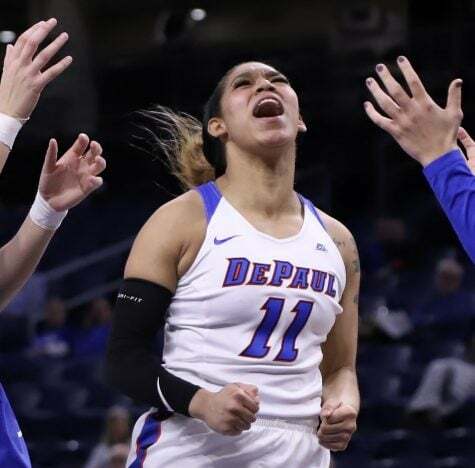 DePaul will enter the NCAA Tournament on an 11-game winning streak and have not lost since Feb. 3 against Marquette. Despite losing that game, DePaul outscored Marquette 60-54 in the second half in what Bruno describes as a turning point for his team. 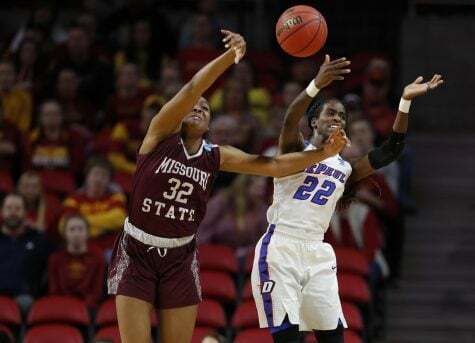 During that unbeaten streak, Millender said two of the primary points of emphasis have been defense and rebounding. DePaul even spent every Tuesday late in the season working on it and Millender added it’s a large reason the team earned an automatic berth heading into Monday night. 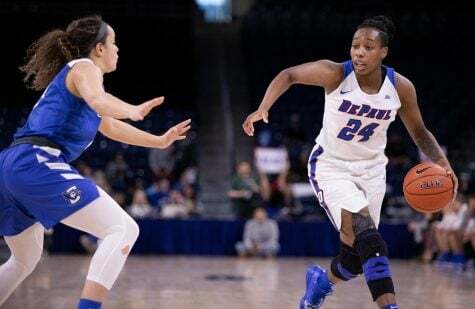 That’s a point DePaul continues to emphasize even now after the Blue Demons saw a 15-point lead slip away as Texas A&M outrebounded DePaul 46-34 and rallied for an 80-79 win over the Blue Demons in College Station, Texas. 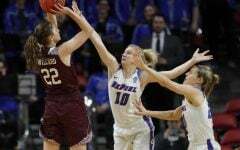 DePaul will face another good rebounding team on Saturday in Missouri State, who comes in riding a six-game winning streak after defeating Drake in the Missouri Valley Conference Title Game. 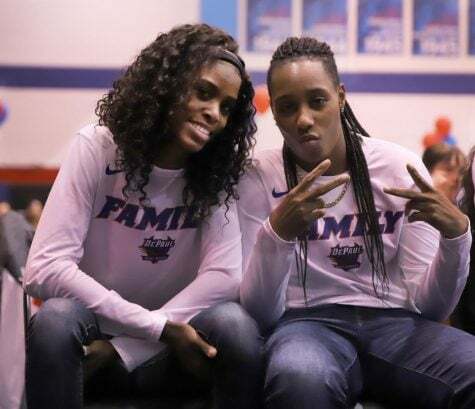 The Lady Bears average 73.2 points per game this season and are outrebounding opponents by an average of nearly nine boards per game. 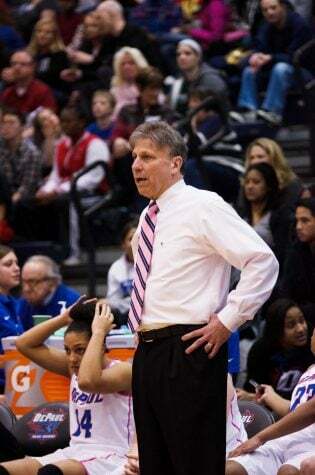 The Blue Demons are 5-0 all-time against Missouri State with the two programs last meeting on Nov. 15, 2010. While Bruno hadn’t got the chance to study much of Missouri State as of Monday evening, he has coached against current head coach Kellie Harper, who played under the late Pat Summitt for four seasons at Tennessee from 1955 to 2000. The Volunteers won three NCAA Championships during that time-span. The two programs are set to tip-off at 2:30 p.m on Saturday in Ames, Iowa.